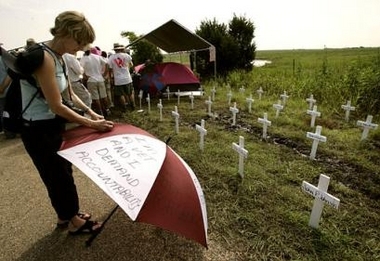 8/11/05 Bush Acknoledges Cindy Sheehan, Still Won't Meet Her. 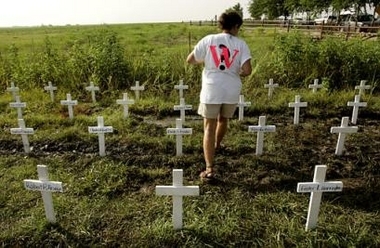 Here's some pictures of A group of Anti-War Protestors, including Marie Pugh of Cado Mills, Texas, who are planting a cross in the ground for every soldier killed in Iraq, on the Road leading to Bush's Ranch in Crawford. 8/11/05 Bush Acknoledges Cindy, Still Won't Meet Her. � I sympathize with Mrs. Sheehan," Bush said. "She feels strongly about her position and she has every right in the world to say what she believes. This is America.� Said Bush during his speech, while Condi looked on in the background. Of course Bush is still refusing to meet with Ms. Sheehan and will not. Apparently Bush�s staff sees the ongoing Cindy Sheehan story as a black eye on the administration and therefore had Jr. Monkey mention her in his speech. Bush would never be smart enough to figure that out for himself, if it were up to him he would just have her arrested and thrown into the Gulag. Yes George this is America, we are supposed to stand for something besides Illegal wars, based on lies. We are supposed to stand as an example for other countries about what freedom and democracy is all about. When we behave in a fair manner toward other countries and treat them with respect, it shows the people of the world that Democracy is something that should be fought for. When we go into other people�s homelands and burn, kill, and torture, well then what do you think they are going to think about us. They are going to want to do anything they can to hurt us, and that means for the most part ambushing our soldiers, and killing them one at a time. "I also have heard the voices of those saying: 'Pull out now!' 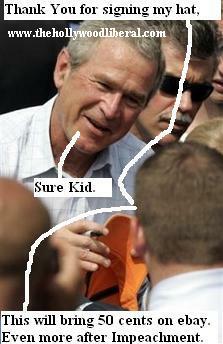 " Bush said. "And I've thought about their cry and their sincere desire to reduce the loss of life by pulling our troops out. I just strongly disagree." Of course he disagrees, Bush pays lip service to those who feel the pain of having lost a loved one in the war, but his words ring hollow. 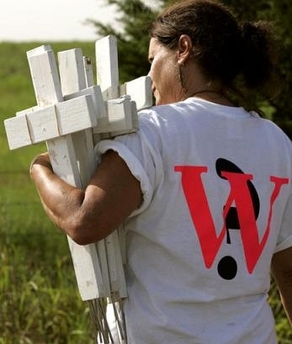 Bush has never lost a family member in a war, so what does he know about it. The man is responsible for more death, both as Governor of Texas, and as President, then anyone who has ever had a rational thought about what life and death are all about. Bush disagrees because Rummy, Cheney, and the old man (his father) tell him to, so that the money, and stolen profits can continue to roll in. Keeping good relations with the country that they are doing business with. The Government of such a country would perhaps even take a stand against terrorists that want to attack and destroy the U.S. and its citizens, but no, we can�t have that. We could end terrorism by doing business getting our soldiers out, and having mutually beneficial business with countries that are �evil�, or �The Enemy� but then Bush, Rummy, Cheney, and the rest of the Neocons would not have so many extra billions to shove into their pockets. Bush will continue to parrot the same lies, over and over for many years to come. 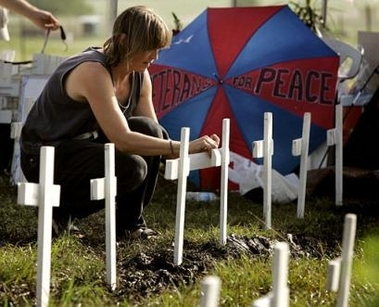 Here's an Radio Interview that Cindy Sheehan did on the Bill Press Show. It contians 3 audio clips that are about 2 minutes long each. Here's a Video Clip, of Don Imus, former Bush Republican Whore, who now seems to be changing his tune a little. still support the war. Check out Imus. Liberal Political Blog from Hollywood California, Political comics, Image archives, HLTV, stories and articles by H.L and lots more. Stories and Articles by H.L. 06/10/2005: Bush�s Approval Rating In The Toilet. So how did he get re-elected.??? 7/19/2004 Bartcop Chicago Pokerfest Report. 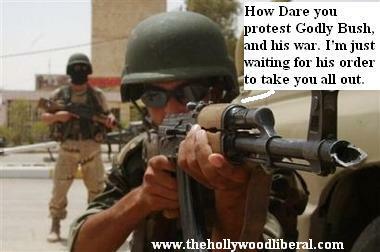 The Hollywood Liberal is an anti-war, anti republican, from right here beautiful Hollywood California. We post a mixture of News stories, Comics, Commentary, and Political Opinion. Check out our Main page for each days new postings. We also have Comic Archives, Image Archives, and Links to The Comic Features. I want to keep America Great by running Bush, and all his slimy, thieving, con artists, political cronies, and henchmen back to whatever hole in Texas they may have slithered out of. I'm not too crazy about Gropenor Ahnold either, so we will try to give him a hard time whenever possible. Check out the site and if you have any comments or suggestions Let me know. Thanks H.L. 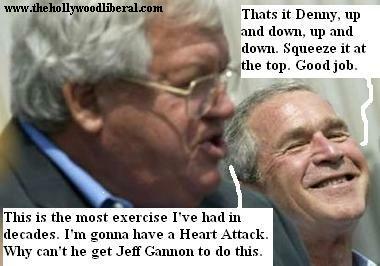 We give you all the Liberal News, about The Political Scene, from Hollywood. Don't forget to check out The Blog. Keep fighting agaisnt the war, in Iraq, and everywhere. Ignore them, Stay with us.